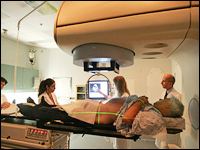 Oncology is a branch of medicine that deals with tumors (cancer). A medical professional who practices oncology is an oncologist. The most important diagnostic tool remains the medical history: the character of the complaints and any specific symptoms (fatigue, weight loss, unexplained anemiafever of unknown originparaneoplastic phenomena and other signs). Often a physical examination will reveal the location of a malignancy. Often, surgery is attempted to remove a tumor entirely. This is only feasible when there is some degree of certainty that the tumor can in fact be removed. When it is certain that parts will remain, curative surgery is often impossible, e.g. when there are metastases elsewhere, or when the tumor has invaded a structure that cannot be operated upon without risking the patient's life. Occasionally surgery can improve survival even if not all tumour tissue has been removed; the procedure is referred to as "debulking" (i.e. reducing the overall amount of tumour tissue). Surgery is also used for the palliative treatment of some of cancers, e.g. to relieve biliary obstruction, or to relieve the problems associated with some cerebral tumors. The risks of surgery must be weighed up against the benefits. 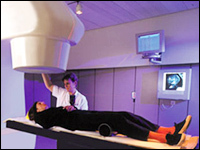 Chemotherapy and Radiotherapy are used as a first-line radical therapy in a number of malignancies. They are also used for adjuvant therapy, i.e. when the macroscopic tumor has already been completely removed surgically but there is a reasonable statistical risk that it will recur. Chemotherapy and Radiotherapy are commonly used for palliation, where disease is clearly incurable: in this situation the aim is to improve the quality of and prolong life.